The first Leopard 50 has arrived in Asia, and a special partnership event between Yacht Style Magazine and Lux Inc Media will be held at Ao Po Grand Marina from July 7-8. Since the launch of the Leopard 50 at the Miami International Boat Show, she has proven to be one of the most successful products launched by Leopard Catamarans in her first year. Some key features that make this model so popular begin with her versatility. 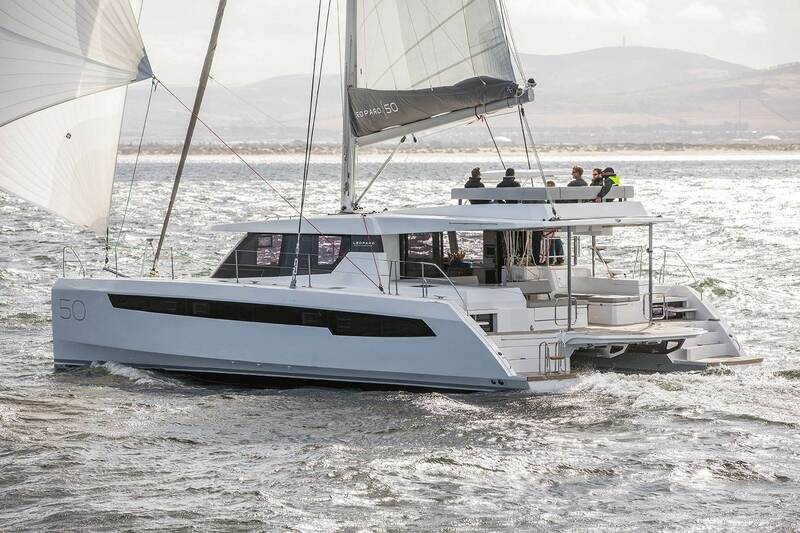 Owners are given the option to choose the classic hard-top exterior configuration (Leopard 50P), or for the first time on a Leopard Catamaran of this size, an optional flybridge accommodation (Leopard 50L). The Leopard 50L is the ideal layout for anyone looking for more outdoor living space as she comes equipped with a flybridge that includes a lounge area, table, sunbed and optional exterior speakers and shade awning. An important distinction compared to similar sailboat flybridge configurations is that while under sail, passengers can move about the flybridge with ample headroom and never worry about interference from the boom. Sailors looking for the familiar, continuous hardtop can opt for the Leopard 50P. This version does not have the flybridge and can deliver increased performance particularly when fitted with the offered Squaretop mainsail and other available performance-orientated rigging and sail options. In addition to the exterior options, the interior offers multiple layout configurations with 3 plus utility room, 4 or 5 cabins, and an extensive options list. The helm station is still located in the classic position – raised and to starboard (right). 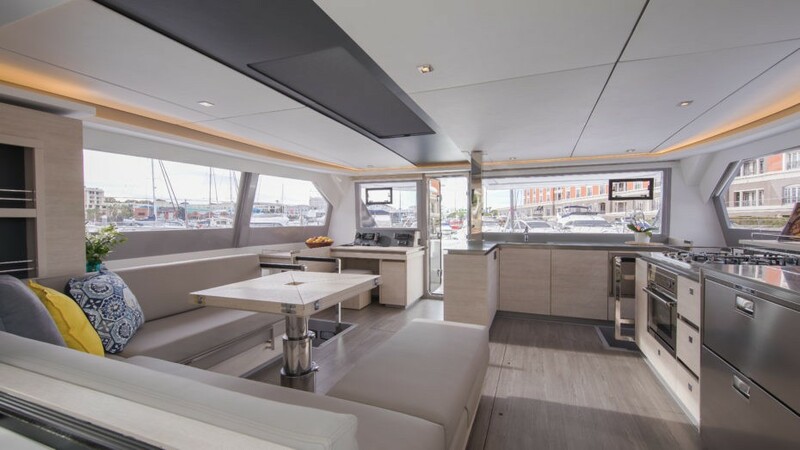 Move easily from the helm station to the spacious aft cockpit, and from there step into an open saloon by stacking sliding glass doors which seamlessly blend the saloon with the outdoors. Inside, the interior has an elegant, light finish that is accented with grey contrasts. The design is modern and fresh, with a focus on the quality of finish and materials. The stylish interior is designed with plenty of headroom and an ergonomic layout. A staple in all new Leopard models, the forward facing settee, situated aft, allows for direct communication with the forward facing galley. The saloon is finished off with a saloon sized overhead skylight, and the signature forward cockpit is accessible from the saloon through a weathertight door. True to the Leopard pedigree, the Leopard 50 emphasises functional open spaces and ease of handling.